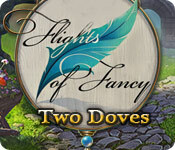 Save your kingdom from disaster in Flights of Fancy: Two Doves! You return home from a royal party to discover that your estate has been robbed. Someone has stolen the magic dove that has been in your family for generations. To make matters worse, the king's magic dove has also been stolen, and if the thief learns how to use the power of the two birds, the consequences could be disastrous! With the king missing and the kingdom's citizens falling victim to a strange curse, it's up to you to save the kingdom. 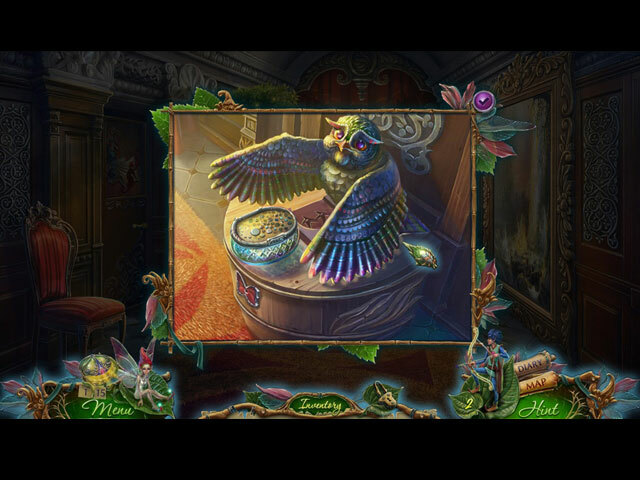 Embark on an extraordinary journey in this gorgeous Hidden Object Puzzle Adventure game! Flights of Fancy: Two Doves is rated 4.1 out of 5 by 32. Rated 5 out of 5 by SouthernGal820 from Beautiful Fantasy Game As another reviewer said, this game is a fantasy game, therefore not everyone's cup of tea but I loved it. 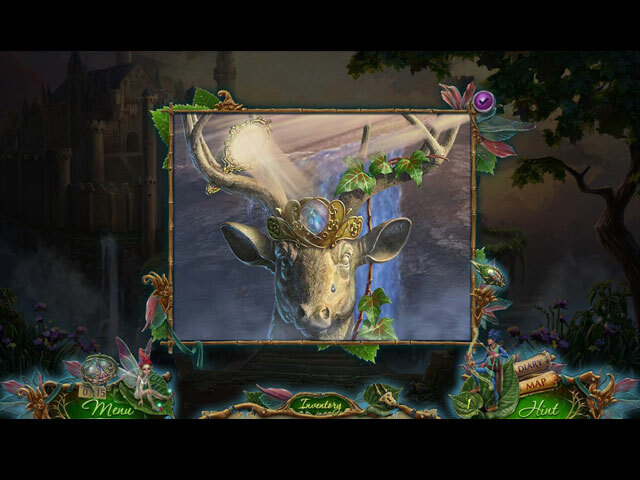 Beautiful graphics, lovely music, great and fun mini games, interactive HOS. You actually find arrows as you go along and these are your hints so each time you find one it adds to the number of hints you have. You get to name your fairy and elf (I think that is what they are!). The elf controls the hints by shooting one of the arrows you find - hints work well in leading you to where you need to be - I did use it a couple of times. The fairy does the magic on certain things to activate portals etc. For me a very beautiful and fun game. Loved it. Rated 5 out of 5 by rpggramma from THOROUGHLY ENJOYABLE!!! Great game, really enjoyed this one!! Interesting storyline, holds your interest. HOs are beginning to be fun; they are so much more interesting than they used to be! More like puzzles, which I like most!! Puzzles are very good, not the same humdrum ones. Game is a nice size , almost like a CE. You have a fairy and an owl for helpers! Map and Journal is very good. You will enjoy! Rated 5 out of 5 by Sixxygrrl from A surprising and unexpected winner! I bought the SE as a Daily Deal, and have been glad ever since that I took the chance. I found this game to be exceptionally engaging, the immersion factor was fantastic, and I wanted more and more. I was sucked into the story and the adventure that I literally did not want to stop playing until the end, and even then, I wanted the game to continue. Honestly I hope there is a sequel to this game, and I even want to buy the CE as well, which speaks to the quality of the game. I completely recommend this game. It is well worth the buy! Rated 5 out of 5 by rondakbandy from Breathtaking graphics. What a beautiful fantasy game. You get to customize your level of difficulty. The map is wonderfully functional. There are two spots dealing with a spiderweb that are annoying. One you have to click on an item that is difficult to see and you can't do the second till you take care of what you found. The hint circles are quite helpful. I'll be replaying this one! Rated 5 out of 5 by kroon_patricia from a wonderful game I really loved this game! Exciting puzzles and beautiful graphs. Rated 5 out of 5 by tutortime from I loved it! The game was beautiful, interesting and very long! I felt I got my moneys worth on the game. Rated 5 out of 5 by Natley from one for the girls this is as good as it gets pretty much, lush graphics, stop the baddie before he gets power storyline, trippy locations - what are the developers on lol, puzzles just about right, cute animals, a fairy and elf helper you give yr own names to, the whole things looks really really pretty, and gosh handsome men too. What more does a Countess need who has a kingdom to save ? Its girly. Its fun, and you get the Prince. Buy it. Rated 5 out of 5 by wayney58 from Excellent game, really kept my interest Since there are so many other reviews I will only offer two bits: 1# This was a very enjoyable game, I looked forward to playing it every day. I liked the graphics, the coloring, and the plot. I would buy it again only get the ce version. 2# I found that there were several misspellings. I really hate misspellings as it implys that the game was not made with attention to detail as it should have been. Otherwise, really really nice game. Rated 5 out of 5 by boatgirl4347 from ELEPHANT AND RABBIT TIE !!!! I RECENTLY WROTE ELEPHANT GAMES ALL HAD EXTRODINARY COLOR WHICH MADE THEM SO MUCH MORE FUN TO PLAY THAN THE DILUTED COLORS OF HERS GAMES THEY MUST HAVE HEARD ME !!! LOL THIS TWO DOVES GAME IS A COLOR FEAST FOR YOUR EYES AND GOOD STORY TOO!! I DID NOT GET THE COLL ED BUT THE REG IS LOOOONG I LOVED IT IM SO PROUD OF YOU GUYS!!! Rated 5 out of 5 by denniann2 from a rather long game... i liked this game a lot. played casual, low sound. you can set how fast the hints charge and automatically skip games. diary and interactive map. the hints will hand-hold you all the way through, pretty much. you might have to think about what to do once in a while, but if you use the hint system like this the game is shorter. you have been called in to stop the kingdom from being taken under control by an evil man. sequel.....i believe so by the way it ended. 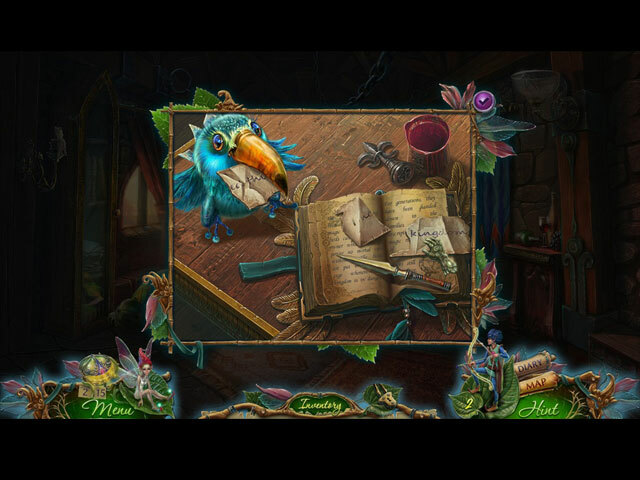 Someone has stolen two powerful magic doves from your kingdom, and the consequences could be disastrous. Embark on an extraordinary journey to stop the thief.